The Hillsmere Pool is located on Harbor Drive. It is a 5-lane Olympic style pool with a diving well and a separate children's pool. The pool house has restroom, shower, and changing facilities. The property outside the pool area has a volleyball net, tether ball and ample space for other activities. The pool is a wonderful gathering place for families to relax and socialize. It is home to the famous Hillsmere Hammerheads swim team. The Pool facility is open every day from the Saturday prior to Memorial Day through Labor Day. Pool opening and closing hours may be extended by the HSIA Board of Directors for HSIA sponsored or sanctioned events or activities. Under no circumstances will the pool operate prior to 7 a.m. or after 11 p.m. Operation of the pool before the Saturday prior to Memorial Day or after Labor Day may be approved by the Board of Directors. All operating procedures must be followed during extended hours of operation or an extended season. Hillsmere Shores sponsors the Hillsmere Hammerheads swim team. There will be instances when the pool will be open late or close early to pool members due to swim team activities. The dates/hours will be posted at the pool, on the pool calendar and/or emailed to members. THE POOL OPENS May 25 FOR THE 2019 SEASON! Receive information pertaining to pool events, committee meetings and volunteer opportunities. We are a Community Pool. Members' and guests' language, attire, and behavior should be appropriate for a family environment. The Pool is for everyone’s enjoyment. Please respect the rights of others. HSIA has entered a contract with an independent pool management company which delegates to that company the responsibilities for maintaining and managing the pool during regular pool hours and special events staffed through the pool management company. These operating rules will be enforced by the lifeguards and pool manager who are agents of the pool management company. Failure to observe and obey these rules or failure to comply with the lifeguard or pool manager’s interpretations of these rules will result in suspension of a member’s or guest’s pool use for the day. Repeated or serious violations may result in loss of membership without refund. Other than authorized personnel, no one is allowed on pool premises unless a lifeguard is on duty. Entry into the pool is permitted at lifeguard discretion. Members must present membership card and sign-in upon entering the pool. All children under 16 must pass a basic swim test administered by the lifeguard and wear a lifeguard issued wristband before using the main pool without direct adult supervision. The swim test consists of swimming the length of the main pool and treading water continuously for one minute. Children under 16 who have not passed the swim test are considered “non-swimmers”. A non-swimmer is anyone under the age of 16 who is not able to pass the swim test. Non-swimmers may not come to the pool without adult supervision. When using the pool, the guardian must be engaged and within arm’s reach of their non-swimmer. Non-swimmers who are not adequately supervised by a responsible adult will be asked to exit the water for the safety of the non-swimmer. Children under 16 who have passed the swim test must wear their lifeguard issued wristband at all times when using the pool. Members under the age of 11 who have not passed the swim test must be accompanied by a parent or supervising caregiver (15 years or older) while on pool premises. Members under the age of 11 who have passed the swim test may be accompanied by supervising caregiver (13 years or older) while on pool premises. If they have passed a swim test, they must wear their lifeguard issued wristband at the pool. Members aged 11+ may come to the pool alone if their parent/guardian signs a Child Attendance Waiver and they have passed a swim test. Children not accompanied by an adult must be familiar with the pool rules and follow the instructions of the lifeguards at all times. Failure to follow the rules and the instructions of the lifeguards will result in the following disciplinary actions. All persons using the pool or pool area do so at their own risk and sole responsibility. HSIA and pool management company assume no responsibility for any accident, injury, loss, damage, or theft of personal property. The lifeguard staff has the authority to enforce the rules and to prohibit any action or behavior by pool users that in their judgment is a threat to the health and/or safety of themselves or others or is destructive of pool property. pool premises. The lifeguard may ask disruptive persons or persons suspected of being under the influence to leave the pool premises. Should the need arise, Anne Arundel County Police will be called for assistance. Running, pushing, wrestling and boisterous behavior are prohibited. Spouting of water and similar unhygienic acts will not be permitted in the pool. Only Coast Guard approved flotation devices, with the exception of noodles, may be permitted at lifeguard’s discretion. The pool facility may be closed for inclement weather, maintenance or for other reasons involving health and safety as determined by the lifeguard staff. Notice of such closings will be posted at the gate and otherwise announced as circumstances permit. Thunderstorms: The pool enclosure must be cleared immediately at the first sound of thunder or sighting of lightning. The pool facility may reopen 30 minutes after the last sound of thunder or sighting of lightning. An adult-only swim period is scheduled 15 minutes each hour. All persons under 16 years of age must be completely clear of the pool and the immediate surrounding area during adult swim. Use of rafts during adult swim is permitted at the discretion of the lifeguard. Parents or supervising guardians are responsible for the safety and behavior of their children at all times. bounces are permitted. Divers must insure that the previous diver has cleared the diving area. Swimming and game playing is permitted in the diving area only when the diving board is closed. No cutoffs, trousers, shorts, jeans or other street attire may be worn in the pool. Only swim attire is permitted. children in the wading pool enclosure must be accompanied by an adult at all times. Only children 6 years of age and under may use the wading pool, unless they are with their siblings and parents. Children who are not toilet trained must wear swim diapers covered by tight-fitting swimsuit in the wading pool. Non toilet trained children are not allowed in the main pool. No pets of any kind are permitted in the pool enclosure. One swim lane is continuously reserved for lap swimmers. No glass or breakable containers are permitted on pool premises. The pool enclosure is a non-smoking facility. Smoking is permitted outside the pool fence and away from the pool entrance area. Consumption of food or drink is limited to the grassed areas and the designated party area. No access to the pool office or equipment room is permitted without the express permission of the lifeguard. Members are responsible for all personal property and trash brought to the pool. A limited number of trash and recycle containers are provided onsite, but members are urged to Carry-In Carry-Out whenever possible. Personal property left over 72 hours will be disposed of. Members may bring guests to the pool by paying the daily guest fee or using a guest pass. Guest fees may be pre-paid or paid at the gate. Payment at the gate by check only. Make checks payable to HSIA. Lifeguards are not permitted to accept cash. Persons residing in Hillsmere Shores or Black Walnut Cove will be permitted as guests only on Tuesdays, unless they are attending a prescheduled private party. If the total size of a group visiting the pool (members plus guests) is 12 or more, party rules apply and you must submit a Pool Party Reservation Application, in advance, to the HSIA Administrator. Members aged 11-15 who are authorized to come to the pool alone may bring adult (16 years or older) guests in accordance with the above policy. A member aged 11-15 who is authorized to come to the pool alone may bring one guest daily aged 11-15. The minor guest MUST have a Request and Release/Child Attendance Waiver signed by his/her parent or guardian and must pass the swim test to be admitted to the pool. Guests must be accompanied at all times by the member who registered them as a guest. 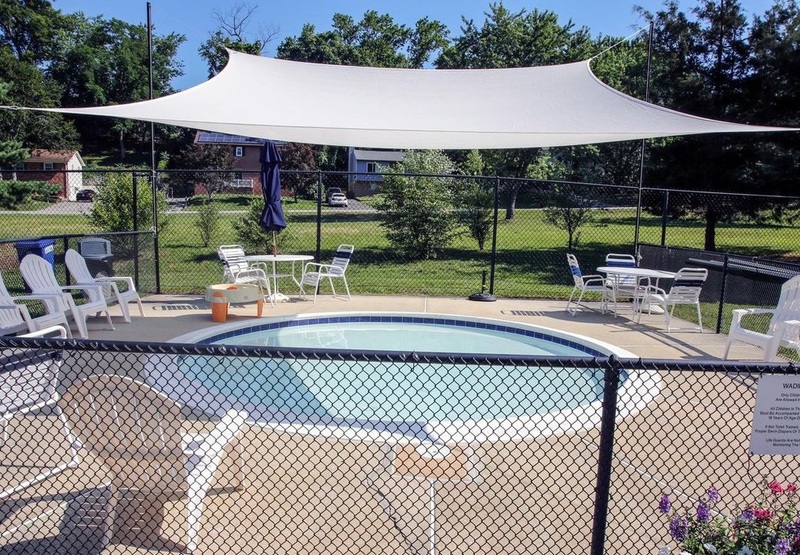 You must be a pool member to reserve the picnic area for a party or host a party at the pool. Parties are limited to no more than 40 participants without prior approval of the HSIA Board of Directors. If your group (members plus guests) consists of 12 or more people you must make a party reservation and use the designated picnic area. Reservations are for 3 hours (12-3 pm or 4-7 pm), and are on a first-come, first-served basis. The reservation includes the use of one grill. The other grill is for the pool members to use. If you must use the second grill, let members share it as needed. Party fees include a location fee of $35.00 for the picnic area and grill, guest fees for all guests who are not pool members, and a (refundable) clean-up deposit of $75.00. All fees must be paid in advance to the HSIA Administrator. Make checks payable to HSIA. 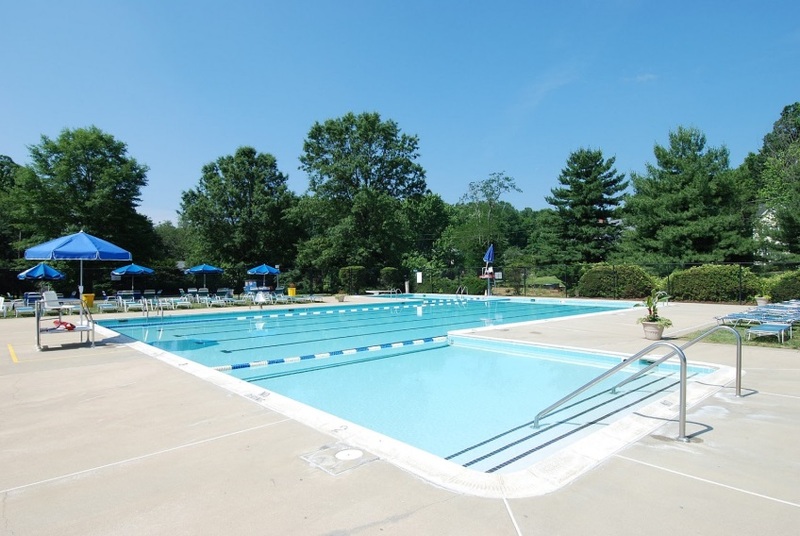 To make a party reservation or check on availability of time slots, call the 24 hour Voice Mail at 410- 263-4456 or email pool@hillsmereshores.net, subject “Pool Party Reservation Request”. Pool Party Reservation Application forms are available below. Reservations made by phone or email will be cancelled if the signed application and checks are not received within 72 hours after the reservation is made. A party cancelled by the host with less than five-day notice will forfeit the $35 party fee. Guests must provide requested information to the gate attendant upon arrival. Guests under 15 years of age must follow the rules regarding swim tests (see Pool Rules). Hosts must make sure all non-member guests leave promptly after the party. No amplified music except for HSIA Board sanctioned events. No open invitations (general invitations sent to an unknown or large number of people). Alcohol is permitted with HSIA Board approval and obtainment of an Anne Arundel County One Day Liquor License. Application forms for a liquor license must be obtained from HSIA and submitted to the County no more than 30 days and no less than 7 days prior to the event. Approval must be obtained in advance from the HSIA Administrator for any games, equipment, or activities not provided by HSIA. Special requests may require HSIA Board approval. Clean-up includes, but is not limited to, hosing down the area and removing all trash and recycle from the facility. Practicing “Carry In, Carry Out” is mandatory for parties. If there are going to be 20 or more children, 30 or more adults or the party is scheduled after normal operating hours, the host must first obtain HSIA Board of Directors approval and submit an Anchor Aquatics pool party application in addition to the HSIA pool party application. HSIA and Anchor Aquatics pool party applications can be found on the HSIA website. Admission to or use of the pool facilities will be granted to any Hillsmere property owner consistent with the expenditure of Special Community Benefit District funds for the maintenance, repair or renovation of the pool facility. Admission and use requirements will be determined annually by the HSIA Board of Directors and published in the Sea Breeze.